A nostalgic look at Bradford’s busy railway network in the 1960s, with many photographs never seen in print before, each with an informative caption. This full colour album covers the former Midland Railway lines to the north of what was once the ‘Wool Capital’ of the world. Development of Bradford’s railway network was long and tortuous. After a slow start in the early 1840s, the network grew gradually over the next 50 years, but its rapid decline in the 1960s left the city with barely a skeleton network. 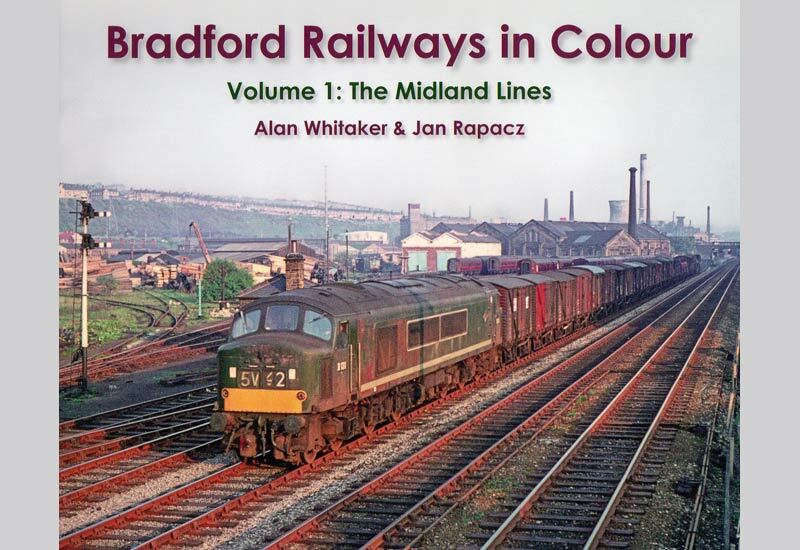 In particular, the sheer volume of rail freight traffic generated by Bradford’s industries is now quite difficult to comprehend but a stark reminder of what has been lost is provided in a new book by railway historians Alan Whitaker and Jan Rapacz who grew up in the city and witnessed the decline first hand. This is the third in a series of full colour albums charting railway operations in the Bradford area in the years just before, and just after, many local stations and goods yards were closed. The first two in the series provided detailed coverage of the post war decline of the former Great Northern Railway’s long lost lines to Halifax and Keighley via Queensbury. Full Colour hardback, 112 pages. Price: £19.95 from Haworth, ring the sales hotline on 01535 640464 (11.00 – 16.00 Monday – Friday) or email shop@kwvr.co.uk.